Robert Brash - THE MASSACRE AT LE PARADIS - HELL IN PARADISE - MAY, 1940. 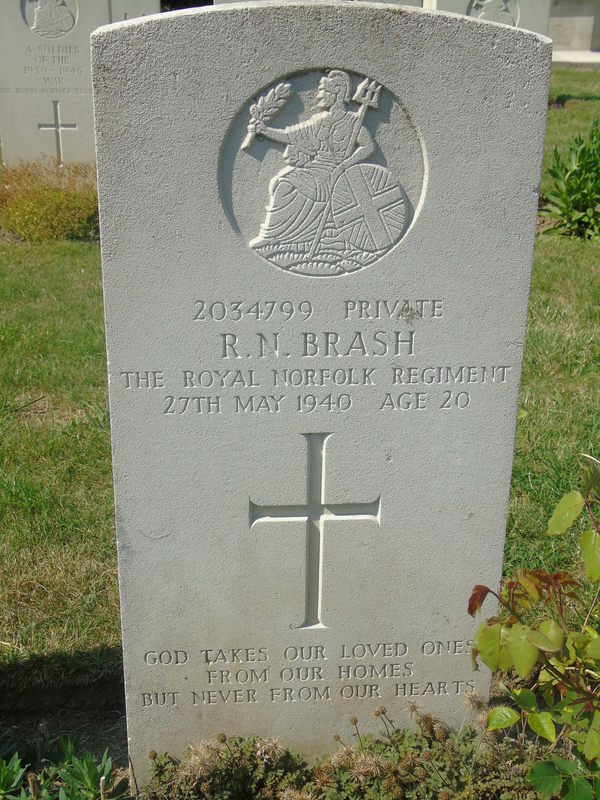 Private 2034799 Robert Norval Brash died 27th May, 1940, aged 20. Son of A. Brash and Kate Elizabeth Brash, of Hendon, Middlesex. Inscription reads: God takes our loved ones from our homes but never from our hearts.